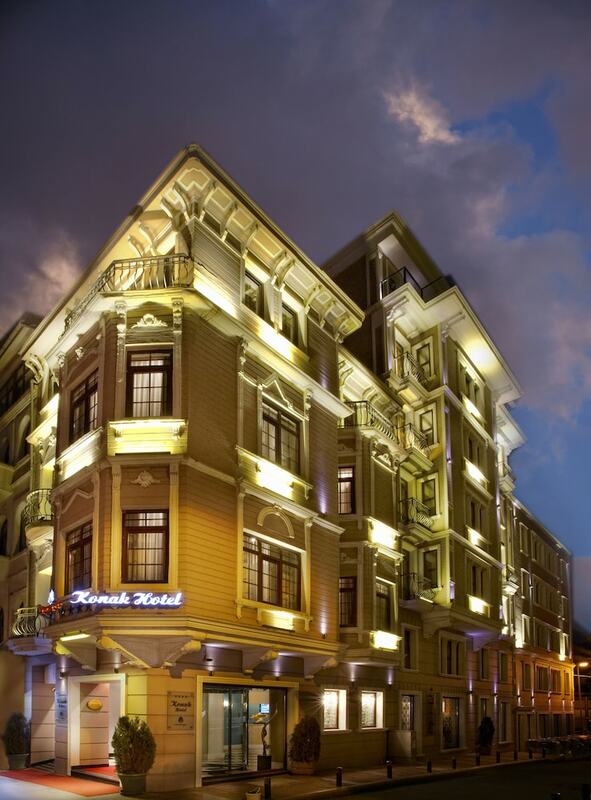 A stay at Konak Hotel Taksim places you in the heart of Istanbul, within a 15-minute walk of Taksim Square and Istiklal Avenue. This 4-star hotel is 1 mi (1.7 km) from Dolmabahce Palace and 1.7 mi (2.8 km) from Galata Tower. Make yourself at home in one of the 117 air-conditioned rooms featuring minibars and LCD televisions. Complimentary wireless Internet access keeps you connected, and satellite programming is available for your entertainment. Private bathrooms with bathtubs or showers feature rainfall showerheads and complimentary toiletries. Conveniences include laptop-compatible safes and desks, and housekeeping is provided daily. Enjoy international cuisine at Strada Restaurant, a restaurant where you can enjoy drinks at the bar and dine alfresco. Or stay in and take advantage of the 24-hour room service. Buffet breakfasts are available daily from 7 AM to 10 AM for a fee. Featured amenities include a computer station, express check-in, and express check-out. This hotel has 3 meeting rooms available for events. A roundtrip airport shuttle is provided for a surcharge (available 24 hours).